From crowdfunding sites that allow ordinary people to buy shares in private businesses to peer-to-peer lenders linking small companies up with retail investors, entrepreneurs have enjoyed an explosion in alternatives to bank finance. Yet Chris Maule reckons there is still a gap in the market. Mr Maule is the founder of UK Bond Network, a platform that links ambitious companies with syndicates of private investors and institutions to provide bonds of between £500,000 and £4 million. The company claims to offer a new way for private businesses and small quoted companies to bypass banks and tap into the enormous amount of money that sits outside financial institutions. The bonds can be for a fixed interest rate or at a rate determined through an online auction process, which typically lasts for a couple of weeks. Investors willing to back companies with at least £5,000 choose an interest rate they are happy with, with those making the lowest bids forming the bond. One to three-year bonds paying a 10 per cent yield are typical, Mr Maule says, and the two-year-old platform has already helped four companies to raise a combined £5 million. It’s a start: he hopes that UK Bond Network will be helping businesses to raise an annual £100 million within three years. Typically, there are advisory fees for companies of at least £5,000, Mr Maule says, and UK Bond Network takes a 5 per cent success fee and a 0.5 per cent annual service fee on funds raised. 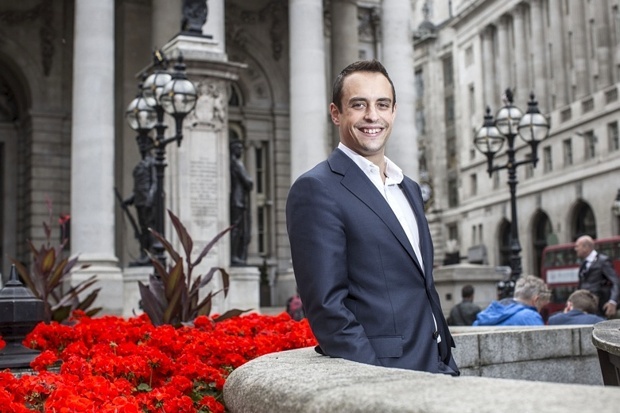 The idea for the venture came while Mr Maule, 31, was working as an equities broker in the City. “In the financial crisis, the music stopped and investors weren’t seeing the returns. The markets were illiquid. The companies were often showing good fundamentals, but had no access to markets and if they did it was far too [expensive]. They were having to give away half the company for £1 million.” As an alternative, Mr Maule developed a private bond for a small listed coal producer and was “overwhelmed” by demand from investors. “I’d been thinking of creating an online investment platform. So I decided to combine the two. It seemed a perfect fit.” He started his London-based company with backing from investors he’d worked with at the brokerage and since then has secured £1 million of investment from GLI Finance. Britain remains a long way behind rivals such as Germany and the United States when it comes to a diverse corporate bond market. The London Stock Exchange wants to reform its ORB bond market to help smaller mid-sized companies to access it, while several businesses have taken the DIY approach to raising finance by setting up their own “mini-bonds”. Many of them focused on securing backing from their own customers, sweetening the deal with additional benefits based on their products, ranging from beer to burritos and chocolate — but it can be an expensive and tricky process, involving lawyers, regulatory advisers, marketing experts and various other agents. Fees can range from £50,000 to as much as £100,000, far too much for most small companies. Crowdcube, an equity crowdfunding site, is aiming to bring the costs down by allowing companies to offer mini-bonds through its platform. Hugh Fearnley-Whittingstall’s River Cottage, the Eden Project and Taylor Street Barristas, a London-based coffee chain, are among the companies that have raised money using this route. Research from Capita Registrars, the financial services firm, suggests that Mr Maule may be on to something. It has estimated that small companies in the UK raised about £90 million of funding through bond issues in 2012, but suggests that the figure could be as much as £8 billion in 2017.